For more information contact your Local Dealer or Independent Rep! The Seiler Video is an excellent option for the lab or for a teaching facility. The Seiler Video set up allows you to project the image being viewed under the microscope as a high resolution image on a LCD monitor. The Package includes everything you would need right out of the box. Equipment included is the SeilerScope with E Planachomat lenses, High Resolution CCD Color Camera, a Trinocular Tube, and a 19″ flat panel monitor. Copyright © 2019 Seiler Instrument Inc. All Rights Reserved. 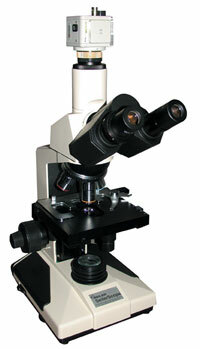 Stay connected with Seiler Microscope!